The inspiron N 5110 is not tested with Windows 8.1, hence there are no drivers available. Please let me know how did you installed the Windows 8.1 and what was the previous operating system. To know more about Dell Product Support, Drivers & Downloads, Order & Dispatch status -> choose your region US / India . For Dell support videos click here. 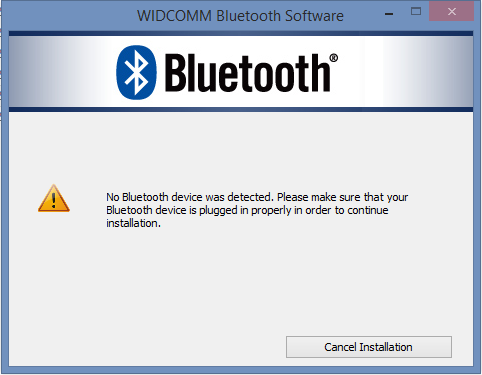 Please uninstall the wireless/Bluetooth driver from the programs and features. Follow the steps below. Start > in search box type in program and features > select the wireless/Bluetooth driver > right click on it and click uninstall. Once the driver is uninstalled, use the link below to install the wireless/ Bluetooth driver using the link below. In this link punch in the system service tag or express service code, select the appropriate operating system (Windows 8) and install the wireless/Bluetooth in compatability mode, follow the steps below. Right Click the driver installation file and select Properties/Compatibility Tab > check the box run this program in compatibility mode, Select the appropriate options. Once the driver is installed check if the issue persists. when uninstalling the "Dell WLAN and Bluetooth client installation", which i supposed to be the driver from programs and features. It says "Installer can not run on this platform. Please select package for your operating system." Please uninstall the Dell WLAN and Bluetooth driver from device manager, follow the steps below. Start > in search box type in device manager > under the network > select the wireless and bluetooth and right click on it and uninstall and check the box (delete the software for this device). Restart your computer. Install the Dell wireless/bluetooth driver which I have provided in my previous post. as per your suggestion i had checked with my service tag, but the driver listed are all old drivers, can you suggest the driver link so that the same can locate and install. The Inspiron N 5110 is not tested with Windows 8.1; hence there are no drivers available. However, you can try installing the wireless driver (windows 8) in the compatibility mode. Right Click the driver installation file and select Properties/Compatibility Tab > check the box run this program in compatibility mode, Select the appropriate options. My Wireless was working fine. But not bluetooth. If I uninstall both , Will I get any trouble in Wireless driver ?? Pls need your reply sir !! As you said I tried to install 1702 driver. But got this error message. Please help me . I was frustrated with this. Using Windows 8.1 INSPIRON N5110. Wireless driver was working fine.